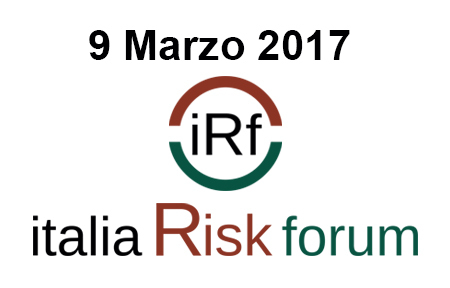 Italia Risk Forum 2017 - Save the date! Blulink Seminars and Conferences 2018 Italia Risk Forum 2017 – Save the date! Italia Risk Forum 2017 – Save the date! After the success of last year edition, this year too Blulink, in collaboration with Sedoc Finance, organizes Italia Risk Forum, a day dedicated to Risk: how to deal with it, how to live with it and how to ace it. It will be held at Centro Internazionale “Loris Malaguzzi” in Reggio Emilia and it will host Risk experts that will share their experiences.